Scott Morrison's first outings as Treasurer were woeful. On the night of the spill, Malcolm Turnbull promised something different: "a style of leadership that respects the people's intelligence, that explains these complex issues and then sets out the course of action we believe we should take, and makes a case for it". Turnbull promised "advocacy, not slogans". Morrison gave us, "work, save, invest". And then this slogan: "We have a spending problem, not a revenue problem." It isn't even the truth. Australia does indeed have a revenue problem, as Morrison's predecessor was happy to acknowledge. From the turn of this century right through to the global financial crisis, the Australian government's income never dipped below 25 per cent of gross domestic product. Then it collapsed and hasn't fully recovered. We do indeed have a revenue problem, as well as a spending problem. Spending is 25.9 per cent of GDP, revenue is 24 per cent. Pressed by journalist Leigh Sales about the need to tackle both, Morrison replied that the budget forward estimates had revenue climbing back to a touch over 25 per cent of GDP by 2018-19, which meant things would be fine. Except that it won't. The budget forecasts have revenue barely climbing at all, reaching just 24.2 per cent of GDP in 2016-17. After that, the budget projections have it climbing to a tad over 25 per cent. But projections aren't forecasts. The difference is enormously important, and a treasurer who could really explain complex issues would have pointed it out. The projections come with a health warning. Here's how the Treasury spelt it out in the budget from which Morrison quoted: "These projections are not forecasts, but rather are based on a set of medium-term assumptions." The assumptions are odd, and they produce odd results, at times quite different to those of any reasonable forecast. They assume "spare capacity in the economy is absorbed over five years". That's a fancy way of saying they assume the unemployment rate will slide to 5 per cent. That's right. They assume a slide in unemployment (which would indeed boost government revenue). To get the fall in unemployment, the Treasury projections produce a very fast economic growth rate of 3.5 per cent a year ("above trend") for five consecutive years. Naturally, it boosts projected revenue. But it has no basis in reality. There's no particular reason to think it will happen. It's the automatic output of a blindly mechanical model. It's wishful thinking. Right now, Australia's economy is growing at an annual pace of just 2 per cent. For as long as that happens, we are indeed going to have a revenue problem, and also a spending problem. And for as long as commodity prices fall. The Reserve Bank's index of commodity prices has been sliding for the past four years. It's now only half what it was, and it is continuing to edge down. The news from China offers little hope. Commodity prices drive taxation revenue. Our government is both collecting too little for the amount it is spending and spending too much for the amount it is collecting. A treasurer able to address complex issues would talk about both. But Morrison has already shut down discussion. "I'm not in that camp," he says, when asked about the need to tackle revenue. Closing off an option will limit our trust in the new Treasurer and make us feel he is not really prepared to govern in our interests. It will also make it more difficult for him to manage the budget, should the downturn in revenue continue. It's less than Turnbull had led us to hope for, but it's not too late. The best thing for Morrison to say for the next few weeks is not that much, as he reads into the job. Then he should start a really open conversation about the budget and tax where all options are on the table (although some more preferred than others), including the option of raising more tax. The most popular premier in the land will be pleased to help. Morrison's NSW colleague Mike Baird believes we will have to raise more in order to properly fund hospitals. Victoria's Labor Treasurer, Tim Pallas, believes the same thing. So does South Australia Premier Jay Weatherill​. Their views shouldn't be instantly dismissed. They're going to be down $80 billion over the next 10 years because of a decision by Joe Hockey to cut their funding formula to tart up his first budget. They're the real victims of the slowdown in revenue. And they're the ones who are going to have to provide the services we need. We are entitled to an open and honest conversation about how much we are prepared to pay for our services, as well as how much spending on them should be cut. Morrison has the ability to transcend his past by opening up an intelligent conversation. It's what Turnbull led us to expect. Or he can revert to form and hide behind slogans. It's what we've become used to. The tax white paper was badly in need of a reset. Like the Black Knight in Monty Python and the Holy Grail, the Treasury was continuing to draft the paper after its arms and legs had been chopped off. Originally told that nothing was off limits, the Treasury was then told (through the prime minister via the media) that superannuation was off limits, that negative gearing was off limits, and that capital gains tax was off limits. It had already got the message that mining taxes and carbon taxes were off limits. With so few arms left to reform the tax system, it would have produced a document that would have not only lacked impact at the time it was released, but that wouldn't have even been filed away for bringing out when the time was right. When it restarts work it will get a clearer idea of the priorities of the new administration, and it will be able to make it an administration document. That's what a white paper is: a statement of the goals to be pursued by the administration. (The "green paper" that precedes it is a statement of options. It's green because it's not fully formed). It is highly likely Malcolm Turnbull will lead by example. There's nothing to stop him making a few quick symbolic changes to the tax system before the white paper process is complete, giving the Treasury and the public an indication of his priorities. The green paper would be postponed until the first half of next year, and the white paper, with concrete serious options for further tax reform, until after the late 2016 election. It's easy to guess at the measures that won't be candidates for quick reform. The goods and services tax can't be changed quickly. It would need the agreement of the states, and it would need a lot of time to persuade the public. While cutting company tax might be a good idea, it's a difficult case to put before an election, and (as was generally agreed at this week's Australian Financial Review tax summit) it's expensive to do to the extent that would actually make Australia competitive. The government has already cut the small business rate from 30 per cent to 28.5 per cent. Doing the same for big business would scarcely make any difference in a world where some of Australia's competitors offer tax rates as low as 16 per cent. By instinct Turnbull would like to cut personal income tax and fund the cuts by removing the "swiss cheese" raft of exemptions and concessions that make the system so complex. He said so, shortly joining Parliament. But that's very hard work. It can't be done in the next few months. What can be done, right now, is to blunt superannuation tax concessions. The biggest of them are overwhelmingly directed to high earners, who don't need them to put away for their retirement. Former NSW treasurer Michael Egan told the tax summit it was a scandal that he and everyone else well advised over 60 paid nothing on their super, thanks to Peter Costello. "It is the worst thing that any treasurer has ever done in the history of federation," he said. "It is a treasurer's responsibility to protect the revenue, and he didn't." Action on super, perhaps limiting the absurdly generous amounts high earners can pump into funds each year in order to pay less tax, would raise big dollars straight away. It would show that the new Prime Minister lacked the blindspots of the old one. It would be a downpayment on more complete tax reform when the time comes. State premiers should be stripped of their power to block changes to the goods and services tax as part of a plan to kick-start tax reform, a former premier has told the AFR tax summit. John Brumby, Victoria's premier from 2007 to 2010, told the summit that when he reviewed the distribution of the GST for the Gillard government in 2011, he was given explicit instructions not to investigate raising the rate. He said it was "nonsense" to suggest the rate couldn't be changed without the agreement of every single state as had been claimed by the former treasurer and prime minister. "That may well have been the arrangement under an intergovernmental agreement, but it needn't be in the future," he said. "If you think about it, everything else we do goes through the parliament with a simple majority, an absolute majority. If it's constitutional, it's a two-thirds majority. "What if you got every state and territory in Australia across the line except for the Northern Territory and Tasmania, constituting less than 5 per cent of the nation's GDP? Could they hold up the whole of the nation? I think the threshold needs to be lowered to a two-thirds agreement of the states and territories." "The UK has done some excellent work on this. A large cohort of the people who are poor are actually university students, and they are not poor all their life. We need to rethink just how regressive the GST is." The head of the Australian Council of Social Service, Cassandra Goldie, said she would not be "verballed" into saying she supported increasing the GST. She would be prepared to consider it as part of a "grand bargain" to reform Australia's tax system. "Before we look at that, we should look at broadening the base of the income tax and cutting superannuation tax breaks," she said. Grattan Institute chief executive John Daley told the summit the simplest quick tax reform for the Turnbull government would be to scrap the generous $180,000 annual limit on the amount individuals could contribute to super from post-tax income. "Anyone who can pay in that much per year out of post-tax income doesn't need help with their retirement," he said. He proposed instead a lifetime cap of $650,000 indexed to inflation. Prime Minister Malcolm Turnbull has denied reports that he has instructed the Treasury to stop work on the the tax paper, pending a "reset". However, Treasury staff say they have been asked to stop and rethink tax "from the ground up". Mr Daley told the summit he guessed that super would be "at least, to some extent, the first against the wall". South Australian Premier Jay Weatherill told the summit that "very substantial opportunities had opened up" with the ascension of Mr Turnbull. "He is talking about respecting the intelligence of the Australian people. I haven't heard those words since Bob Hawke," he said. "We are in a period where we are relatively free of elections. I talked to the Prime Minister last Friday, and I have to say I am encouraged. We have the potential to strike a grand bargain." South Australia has proposed extending a GST-style tax of 10 per cent to banks, to be charged on the margin between the cost at which they borrow money and the price at which they lend it. It would apply only to consumer and not to business loans. It would raise $3 billion to $4.5 billion per year for the states, but would have to be administered nationally, to prevent tax competition between the states. There's more to Malcolm Turnbull's reshuffle than a change of ministers. There has also been change in the nature of ministries. Copyright, long the responsibility of the Attorney-General's Department, has been quietly moved out of the hands of Attorney-General George Brandis and given to the Minister for Communications and Arts, Mitch Fifield. Senator Brandis was a strong proponent of heavy copyright enforcement, pushing for internet service providers to send copyright warning notices to users they suspected of illegal downloading. For almost two years he has sat on a report from the Law Reform Commission that recommended more liberal access to access to published works through a system known as fair use. 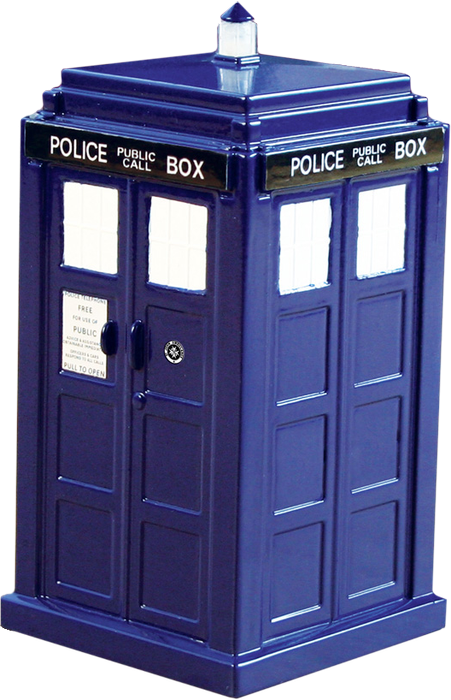 Matthew Rimmer, professor of intellectual property law at the Queensland University of Technology, said Senator Fifield would have a "clean slate" to reconsider options "pointedly ignored" by Senator Brandis. The Attorney-General's Department was always an odd place for copyright, apparently justified because it involved the law. The Treasury might have made more sense, on the ground that copyright is a restriction of trade with implications for competition policy. The inclusion of copyright in the Communications and Arts portfolio opens up the possibility of change. Monash University copyright specialist Rebecca Giblin said the minister would need to examine reforming Australia's "archaic exceptions regime", finally ending the ban on the so-called parallel import of books, ending perpetual copyright for unpublished works, and ratifying the Marrakesh Treaty which would give greater access to books to the vision impaired. It will no longer look after Government 2.0, the move to get all government services online. The responsibility will move to the Department of Prime Minister and Cabinet where it will remain under the eye of the former communications minister, new Prime Minister Malcolm Turnbull. Another change transfers responsibility for childcare benefits and family assistance from the Department of Social Services to the Department of Education and Training. The move will give Education Minister Simon Birmingham a much broader responsibility than his predecessor Christopher Pyne, encompassing all forms of financial support to families with children. In a move interpreted as a sign that the Clean Energy Finance Corporation will not be abolished as had been government policy, the agency will move from the Treasury to the Department of the Environment. The department will also gain responsibility for the Renewable Energy Agency. As foreshadowed in the agreement between the new Prime Minister and the National Party, responsibility for the management of water resources moves from the Environment Department to the renamed Department of Agriculture and Water. Although seldom examined closely, changes in the so-called administrative arrangements can provide useful clues to the government's plans. On its election in 1996 the Howard government moved responsibility for ports from the Transport Department to the Department of Industrial Relations. Two years later the industrial relations minister rather than the transport minister was able to handle the 1998 waterfront dispute. Labor has rejected co-operating with the Coalition on boosting the goods and services tax, whatever the outcome of next year's tax white paper and negotiations with the states. Addressing the Australian Financial Review tax summit in Sydney, Labor treasury spokesman Chris Bowen said while any GST rise would be permanent, any income tax cuts funded by it would be eaten away by bracket creep. "Are we really going to increase the GST every time the nation needs to deal with bracket creep?" he asked. There were as many as five suggestions for what to do with any extra GST, among them funding state budgets, cutting the deficit and cutting company tax. Only one could be afforded. "It's like when you get a raise in your salary and you think of five things you'd love to do with the extra money," he said. "Deep down you know you can only do one." But Labor was prepared to negotiate with the Coalition on cutting the company tax rate. Asked if he agreed that company tax was ultimately borne by a firm's employees rather than its owners, Mr Bowen replied: "It is a statement of fact which I agree with. "I would like to see the corporate tax rate come down over time. I have previously said the nation should be aiming for a 25 per cent corporate tax rate." Last year it booked $60 billion of revenue in Australia and only $1 billion in the low-tax jurisdiction of Singapore. Much of that faced top-up tax in Australia at a rate of 58 per cent. "We support measures to crack down on base erosion and profit shifting. We support it even though it is going to cost us more money in compliance," BHP's head of tax, Jane Michie, said. "That's not because we are altruistic; it's because we are realistic. There's a growing consensus things have to change." On Wednesday, BHP will release a complete account of its tax payments broken down by commodity and country. Tax expert Greg Smith, who was a member of the Henry tax review, said Australia shouldn't bother trying to compete on corporate tax rates with countries such as Singapore and Britain with rates below 20 per cent. "There's no doubt in my mind that Australia cannot chase footloose investment as its strategy," he said. "To do that you've got to go to 15 per cent. You'll blow your political equation way before you get there." Economist Saul Eslake said there were clues to Malcolm Turnbull's approach to tax in one of his speeches given soon after he became an MP 10 years ago. He called for lower income tax rates and a broader base. That would mean fewer exemptions, disproportionately used by high-income earners. "Australia's personal income tax base is like a giant Swiss cheese, riddled with holes that allow people to pay less tax on particular types of income," Mr Eslake said. By the end, Abbott couldn't govern. Obliged to respond to a report it had commissioned, his cabinet froze. Pressuring it from one side were small businesses and the Australian Competition and Consumer Commission, the body charged with protecting consumers and advancing competition. They backed the finding of the Harper competition review, that it had become next to impossible to successfully prosecute big businesses for monstering small ones. Pressuring it from the other side were Australia's biggest businesses, among them the big banks and Woolworths and Wesfarmers (which owns Coles). Backing them were the Business Council, some big-business-friendly unions, and the Australian Labor Party. Abbott's initial instincts were oppose the Labor Party, the unions and big business. Almost by definition, anything they agreed on had to hurt someone. His minister for Small Business Bruce Billson strongly backed the Harper review, as did the National Party. Harper had found that Section 46 of the Competition and Consumer Act lacked force. In Billson's words, it was "a dud" – "like a hunting dog that won't leave the porch". The section prohibits a corporation with substantial market power from taking advantage of that power for the purpose of eliminating or substantially damaging a competitor. Which sounds fine, until you consider the loopholes, as lawyers do. One is that the corporation has to "take advantage of that power" for the purpose of eliminating or substantially damaging a competitor. It would be perfectly legal for a big firm with market power to sell its products for next to nothing and run up huge losses in order to force a competitor out of business, so long as it did not "take advantage of its market power" to do it. Alan Fels, a former head of the Competition and Consumer Commission, points out that there have been cases where the Federal Court has found that blatant anti-competitive behaviour by big businesses is lawful because there was no "taking advantage". "The lawyers and economic consultants representing big business have had a field day, earning a king's ransom in fees, by producing Houdini-like escapes from the law based on reasoning about the meaning of these words." Under Australian law, appalling behaviour that destroys competition and competitors is quite OK, so long as it is not for the purpose of destroying competition and competitors. Short of a confession, the purpose of an action is almost impossible to prove. It involves looking inside someone's mind and asking why they did something rather than looking at what they did. Only two of the 129 countries with competition laws build them about intent. The rest look at effects. "No other economy in the world has such a weak provision dealing with dominant businesses able to use their economic muscle – not to win the contest to delight customers, but to take out businesses or to fortify their positions so that new entrants don't get a chance," Billson said this month shortly after Abbott's cabinet rolled him. Actually, it didn't roll him. It decided to shelve the decision on Section 46 indefinitely. Harper wanted it reframed to prohibit a corporation with substantial market power from engaging in conduct that had the purpose, "effect or likely effect" of substantially lessening competition. Harper recommended the effects test in March. 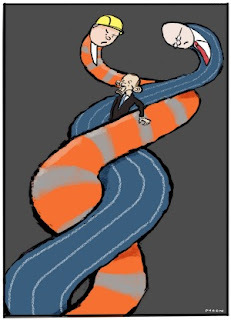 For the entire six months since – right up until his last day – Abbott was unable to decide what to do, becoming cooler and cooler about the idea the more that big business lobbied. The Business Council is reported to have threatened a public relations campaign that would have said that $2 milk was under threat, or something like that; $2 milk would indeed have been under threat if its effect had been to take out competitors, eventually resulting in higher prices. So too would the behaviour of Qantas, which in 2001 helped push Ansett over the edge by taking out full-page ads showing the sea of red seats it was preparing to add to routes all over Australia just as Ansett's receivers were negotiating with a buyer that might have saved it. It would have been hard to prove intent, but it would have been easier to prove effect. Business lobbyists warned of a "lawyers' picnic" if it became easier to convict big businesses for destroying competition (putting to one side the role that lawyers already played). And they warned of a "chilling effect" if the boards had to consider the effect of their actions on competition in the same way that they did in other countries. Labor's Chris Bowen backed them, insisting that sometimes big businesses needed to trample on small businesses in order to get big enough to take on Asia. "As you seek to grow scale to compete in Asia in the coming decades, I could think of nothing worse than a group of competition lawyers saying you have to be a little careful," he told an industry function. An effects test was "one of the most dangerous economic ideas considered by a cabinet in living memory". Labor's pro-big business stance is easier to make sense of when you realise that big businesses are more unionised than small ones. Unions want them to take out non-unionised competitors. Turnbull's cabinet is going to have to make a decision, and not only about that. There are scores of completed inquiries that have been piling up in Abbott's in-tray, among them the financial system inquiry which reported in December. With Billson out of the cabinet, and with Labor almost guaranteeing not to attack him, he'll find it easier to back the big guys. The independent Productivity Commission has lashed the Coalition for so far failing to respond to reports it commissioned up to two years ago. Productivity Commission chairman Peter Harris will tell a competition summit on Tuesday that two years after launching what it said would be the most comprehensive review in two decades the government has done nothing about competition policy despite “occasionally reported sightings”. The 550-page Harper review cost $3 million and was delivered to the government in March. “For too long now, under governments of both political persuasions, major reports seem to be left to languish if they no longer suit the immediate political agenda,” Mr Harris will say. The Murray inquiry into Australia’s financial system was delivered to the Abbott last December 2014. It wasn’t put on the agenda of the Abbott Cabinet until last Monday, at a meeting set down for the night Mr Abbott was deposed. The new treasurer Scott Morrison and the new assistant treasurer Kelly O’Dwyer want to delay responding to the report again while they get up to speed. Mr Harris will say there is massive scope for the Turnbull government to benefit from taking up the sort of reforms suggested by the review. In office for only two years, Joe Hockey might like to claim he never had the chance to become one of Australia's truly great treasurers. But shortness of tenure isn't by itself an impediment to greatness. When I joined the treasury in the early 1980s I was given a rundown of the best and worst of Australia's treasurers, as remembered by those in the department. The best surprised me. It was Bill Hayden, a Labor treasurer in the Whitlam government in office for only four months. I had thought that the treasury hated Labor, and I knew that some in the department had helped bring it down. Things were more complex than I had been led to believe. The treasury liked Hayden because he would take seriously what it had told him, zero in on any weaknesses, and send it back for more work. Then he would take the final agreed position to Cabinet and argue it forcefully. His predecessor, Labor's Jim Cairns had either ignored the treasury, or treated it as his enemy. Frank Crean, the Labor treasurer who preceded Cairns, was happy to put the department's position to Cabinet, but most of the time simply left it there. "This is the treasury submission," he is reputed to have said, and then no more, leaving Australia's most important economic manager voiceless. 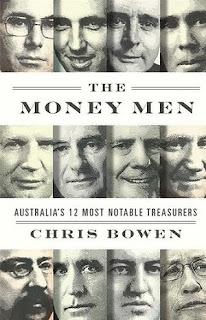 As soon as I got hold of The Money Men, Chris Bowen's remarkably accessible account of Australia's 12 most notable treasurers, I went straight to the chapter on Hayden. Bowen agrees with me, and agrees with the assessment of my colleagues at the time. I learned from Bowen that Hayden was the first to properly use the expenditure review committee, asking ministers to offer up cuts as well as spending proposals when pitching ideas for the budget. The treasury had assured him a cut he planned to make to education minister Kim Beazley's portfolio would have little effect on the lives of teachers. Beazley told him there would be mass retrenchments. Hayden phoned the relevant officials and asked them to convene an urgent meeting with officials in Beazley's department, just to make sure they were right. Embarrassed treasury officers reported back that they had been wrong, and Hayden let Beazley off the hook. Bowen says there's no greater tribute to Hayden's first and only budget than the fact that after the dismissal, the incoming Fraser government implemented it in full. Howard, Hayden's successor but one, wasn't highly thought of within the department when I was there. It felt he lacked the strength to stand up to Fraser and argue for what he believed in. It's a judgement Bowen backs, saying if Howard's career had ended when he ceased to be treasurer, it would have been "extremely difficult to regard it as a triumph". Bowen's book is something of triumph. No other treasurer or would-be treasurer has produced such a complete job application. Bowen is both. He had 12 weeks in the job under a reinstalled Kevin Rudd before Tony Abbott swept to power. Since then he has been the shadow treasurer under Bill Shorten. Asked by Melbourne University Press to write a standard tell-all book about Labor's term in office he said he wanted to write instead about Australia's most notable treasurers. He was sent a contract the next day. The book took two years, and it shows. So well told are the 12 stories that I wanted to hear more, about the other treasurers. But I also wondered whether it was the best use of Bowen's time as shadow treasurer. Might he have spent it more usefully developing policies? His predecessor Wayne Swan didn't, or didn't do it enough. He took the job with economic policies far from fully formed, and with tax and superannuation policies I found embarrassing. It turned out to make little difference because within months he was grappling with the global economic crisis. As Bowen says, Swan was one of the few treasurers able to show his mettle. His work in helping Australia avoid a recession that was widely seen as inevitable - even the budget forecast it - marks him as one of the greats. The resulting deficits are a fair price to pay. If he hadn't avoided a recession the deficits might have been greater. Peter Costello gets extremely high marks from Bowen. He too avoided a recession - twice. The first was likely as a result of the Asian economic crisis, the second as a result of the worldwide recession that followed the early 2000s tech wreck. Costello helped bail out Thailand, Korea and Indonesia, making Australia, along with Japan, the only country to have helped save all three. He ensured sound settings at home by formally declaring the Reserve Bank independent and by forcing through the Wallis reforms to the financial system. And he did it while introducing the goods and services tax, a change so successful that it's impossible to imagine ever going back. He was lucky to preside over the first mining boom, and Bowen criticises him both for not building up big enough surpluses (handing money back in repeated tax cuts and allowing the public service to balloon) and for convincing the public that continual surpluses are ends in themselves, a great political achievement, but a questionable economic one. Keating gets the longest chapter and this list of his achievements is dizzying. He floated the dollar, deregulated the financial system, cut tariffs, modernised the tax system (introducing both the capital gains and fringe benefits tax), privatised Qantas and half of the Commonwealth Bank, forced competition on to Telstra, and through his misguided obsession with the current account deficit, pushed interest rates so high he brought on a recession. And he dragged industrial relations into the modern era, introducing enterprise rather than economy-wide bargaining, and as a byproduct, gave us universal superannuation. Bowen is more measured in his assessment of Keating than I expected him to be. He is happy to point out that Keating shares much of the credit for what happened with Hawke. He says no relationship is more important. The early chapters on treasurers Turner, Page, Theodore and Chifley chart the evolution of the job and the rise of Keynesianism and the Commonwealth's power over tax as the dominant modes of economic management. We know too little about our treasurers and we know too little about the job. Bowen's book fills a gap. It's fun to browse, and is set to become an essential reference work. The assent of Turnbull means Bowen himself may never again become treasurer, or may have to wait for a very long time. But he has served the office well. Joe Hockey has concluded his first and only financial year as treasurer with a budget outcome $8 billion worse than forecast. In May 2014 Mr Hockey forecast a budget deficit of $29.8 billion, itself a big step up from the $24 billion forecast by the Treasury at the end of Labor's term in office. Treasury documents to be released on Monday will show the final budget outcome for 2014-15 was a deficit of $38 billion, a figure well below the peak of $54.5 billion reached under Labor during the global financial crisis, but well above the number first forecast by Mr Hockey and at odds his pledge ahead of the election to "deliver a surplus in our first year and every year after that". His 2013 commitment was qualified by the words "based on the numbers published," meaning that he did not expect to be held to the pledge if the economic outlook worsened. Mr Hockey told Parliament on Thursday that the $38 billion deficit figure was $3 billion better than the forecast of $41.1 billion included in his most recent budget. Assistant Treasurer Josh Frydenberg has raised the prospect of the Turnbull government taking an increase in the goods and services tax to the next election. Addressing a tax forum at the Australian National University and conceding that after the reshuffle due on Monday he might no longer have responsibility for tax, Mr Frydenberg said he had noticed a "change in the public's mindset" on the GST. "I think people understand that there could be benefits that will come from its increase and also understand that other taxes would be removed or reduced, and that there would be more money for services such as health," he said. "We kickstarted the debate through a discussion paper, which will morph into a green paper later this year, which will then morph into a white paper early next year." "Our new prime minister Malcolm Turnbull is completely interested in all matters economic and brings to the job business experience, so I think it will be quite an exciting space for the government in the leadup to the election." The previous prime minister Tony Abbott ruled out an increase in the GST in the leadup to the 2013 election and said he would only be prepared to take one to the 2016 election if the total tax take didn't climb. NSW Premier Mike Baird pushed for an increase from 10 per cent to 15 per cent at a last month's treasurer's meeting to properly fund the health system and prevent state finances "tumbling over a fiscal cliff". He was backed by South Australian Treasurer Tom Koutsantonis but opposed by Victoria's Tim Pallas and Queensland's Curtis Pitt, who instead proposed an increase in the Medicare levy. An extension of the GST would need the support of all of the states and would need to get through the Senate. "You could just imagine the political consequences of having a broader GST apply to those areas," he told the forum. "We had it with the so-called bank tax on deposits. We would be told that every private school kid's parent would be paying more for their education, every person who goes to doctor would be paying more for their visit, people would be paying more to go to the local market. You could imagine the campaigns, and I think they are relevant considerations in a situation where a government doesn't have a majority in both houses." Plans are well advanced to apply the GST to imported digital goods and to all imported parcels from July 2017, levelling the playing field between Australian and overseas suppliers. "These changes mean that when a consumer is deciding whether to buy a good or service in a store or online, GST will no longer be a factor," Mr Frydenberg said. "This shows that it is possible to come together to deliver important reform. We've done it before, so it is now a question of what next." Treasury official Russ Campbell told the forum the tax on the sale of overseas supplied digital goods might well be collected from so-called "marketplace aggregators" such as Google Plus rather than the suppliers themselves. 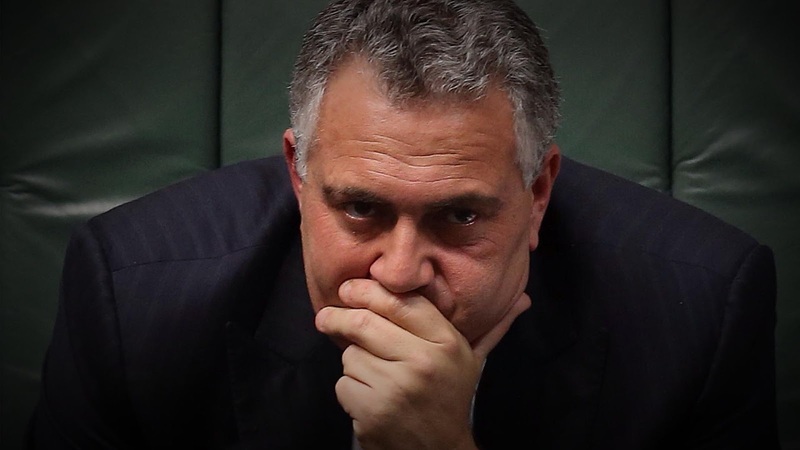 Defending his record in what may be one of his last days as Treasurer, Joe Hockey told Parliament on Tuesday that the Australian economy was $68 billion bigger than when it had been entrusted into his care. Without Hockey that result may not have happened. Had the Coalition slashed spending in order to quickly return the budget to surplus as it implied it would, or made cutting debt its number one priority as it said it would, the economy might not have grown at all. Hockey stood in the way of those wanting to cut spending sharply, delivering a clever first budget that provided for big spending cuts over time, rather than upfront. Pension, disability and family payments were to climb more slowly. No one was to be hit upfront at a time when the economy and household finances couldn't take it, but slowly over time as the budget balance improved, eventually delivering the surplus. Blowing out both the government debt and the budget deficit as Australia's export prices slid, Hockey made the deliberate decision to prioritise the economy over the surplus. He marked himself as a Keynesian, as every modern treasurer has had to in order to manage the economy well. Far too many of his measures were unpopular, some deservedly. 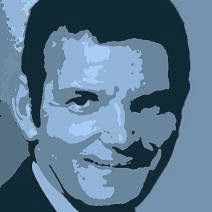 Cutting grants to the states by $80 billion over 10 years in the hope they would somehow make up the difference themselves was more of a pea and thimble trick than genuine economic management, and taking on pensioners without also taking on generously assisted superannuants allowed his budget to be painted as unfair. By the standards of the Abbott government he was a good communicator, levelling with people about what he was doing and why rather than using slogans. Often this meant he was seen to make "gaffes". Telling Australians that "the poorest people either don't have cars or actually don't drive very far in many cases" was an attempt to say that the hysterical claims about his perfectly reasonable plan to reintroduce fuel indexation were wrong. It wouldn't target battlers. Other claims were bizarre. He said "higher income households pay half their income in tax", which isn't true at all, and claimed that his own electorate of North Sydney had "one of the highest bulk-billing rates in Australia" when it had one of the lowest in Sydney. But the slip-ups didn't hurt him much. He was able to convey a greater truth: that he was on top of things and was prepared to take people into his confidence. After his much better received second budget, he had grand plans to finally tackle super tax concessions and limit negative gearing. But his prime minister cut him dead, declaring they were Labor measures the Coalition would never embrace. Shut up and increasingly deprived of freedom to act, he concentrated on less contentious topics such as international tax avoidance and the overdue report on the financial system that he commissioned after years of Labor inaction. Cabinet was due to approve his response to the report on Monday night. He was set to announce it before the markets opened on Tuesday. He didn't get the chance. He'll be remembered as a good treasurer who kept the economy afloat in difficult times and was preparing to do more. If the Reserve Bank board wanted to, it could cut interest rates right now. The minutes of its September board meeting, released on Tuesday, show wage growth low, growth in the consumer price index low, and "spare capacity" in the economy, meaning any boost to the economy from a cut in rates is unlikely to spark too much inflation. However, it's sort of hoping that it doesn't need to do so. Against a generally worsening international backdrop, sections of the Australia's economy are picking up. Surveyed business conditions have been improving for months. They are above average for both the household and business service sectors. These sectors are important because they are highly likely to employ people. They also either don't do much investing or aren't properly counted in the official investment survey, meaning their effect on jobs is greater than official figures suggest. Manufacturing firms are also doing better, largely because of the lower dollar. The dollar may well have further to fall and it'll take a while away before the benefits of the slide to date become apparent, meaning the bank sees Australian firms continuing to grab business from foreign firms both domestically and abroad. While non-mining firms are planning to cut their investment in the year ahead (as mining firms slash it), the good news is that they are not planning to cut it as much as they were. The RBA is not that concerned by the very weak economic growth figures reported the day after it met, believing that the growth rate of 0.2 per cent in the June quarter partly reflected temporary disruptions to resource exports, and partly some sort of statistical payback for the very strong growth reported in the March quarter. It is acutely aware that the "green shoots" it is seeing could head back down at any moment. If they do, it is ready to cut rates. However, it wants to wait until it is sure, or wait until it is sure that the green shoots are growing. It'll have a better idea at its November board meeting. The Melbourne Cup Day meeting is often used to adjust rates because it falls as the board updates its quarterly forecasts and just after the quarterly inflation and investment figures. It is conscious, too, that further cuts to an already low interest rate are unlikely to much boost investment, and may fuel the Sydney and Melbourne house price booms. And it would love the Turnbull government to take things into its own hands and boost the economy in other ways if necessary. It would like to sit on its hands. Malcolm Turnbull has promised to tell us the truth. He says he is offering a new style of leadership that "respects people's intelligence, that explains complex issues and then sets out a course of action". It'll be "advocacy, not slogans". And it's easy to see how it will be different. In July when the Chinese stock market was collapsing and Greece was about to default on its debts, Tony Abbott was asked how it would affect Australia. He replied by talking about supermarkets. "Again I get back to the grocery code of conduct," he said. "We have a great supermarket system that rests on the shoulders of great local suppliers and this is about ensuring that we continue to have very strong local suppliers ... and if we do that we will avoid the problems that we see overseas." It was a slogan (and the wrong one) rather than an answer. Last week when told by the ABC's Leigh Sales that unemployment had grown, economic growth had slowed and the deficit had ballooned under his watch, he disagreed. "Well I don't accept that. The boats have stopped. The carbon tax has ..." he began. "We're talking about the economy," Sales reminded him. "The boats have stopped, the carbon tax has gone, the mining tax has gone," he continued. "We are now on a path to sustainable surplus and we've got three free trade agreements finalised. If only the Labor Party and the Construction, Forestry, Mining and Energy Union weren't trying to sabotage the free trade agreement." His replies were nothing but slogans. In his hands the China free trade agreement has morphed into little more than a slogan. It's now apparently an "export agreement," even though the government's own modelling shows it will boost imports the most. And it's all about jobs, even though the government's own modelling shows that after 20 years it will have created only 5434 jobs. Abbott has told Parliament it will create "178,000 more jobs than otherwise," but the number is an awful mistake, brought about by adding up the total number of jobs to be have been created after each of the next 20 years, rather using the number that will have been created by the 20th year. A leader with a genuinely inquiring mind who understood numbers and wanted to communicate the real virtues of the agreement wouldn't have undersold it by grasping for slogans. And he or she wouldn't have shut down discussion about Australia's retirement incomes system and the goods and services tax. There's every chance that China's economic growth is to be far slower than it admits. There's every chance the much slower growth will slash Australia's income and push us toward recession. Should that happen Australian citizens and businesses will feel more comfortable with a leader that tells them the truth. Turnbull implied on Monday that the mere act of changing leaders - to him - would boost national confidence. He is probably right. It's easier to get a job than it has been at any time in the past two years, although not as easy to get good hours. The latest employment figures show 61 per cent of Australia's working and retirement age population was in work in August, almost back to the level the Coalition inherited when it took office in September 2013. Sliding well before the Abbott government took office, Australia's employment-to-population ratio bottomed at 60.5 per cent in October 2014 and has been climbing back since. In the past 10 months an extraordinary 245,000 extra Australians have found work, compared to just 68,000 in the Coalition's first 13 months in office. Australia's unemployment rate appears to have stabilised, staying in a tight band of 6 to 6.3 per cent for more than a year. The August unemployment rate was 6.2 per cent, down from 6.3 per cent in July. But the good news on jobs hasn't been matched by good news on hours worked. Since October the number of Australians in jobs has climbed 2 per cent, way more than is needed to keep pace with population growth, but the number of hours worked has climbed only 1.3 per cent. "The number of hours worked per employee continues to decline," said Macquarie Securities analyst James McIntyre. "More people have jobs, but those jobs are not delivering the income growth at the pace that would ordinarily be expected." If job-creation continues at the pace since October, Tony Abbott will comfortably fulfil his election promise of creating 1 million new jobs in his first five years, but if it reverts to the average pace since the election he will fall well short. The so-called underemployment rate calculated by the Bureau of Statistics edged up to 8.4 per cent from 8.2 per cent last August. Australians are defined as underemployed when they are working, but working fewer hours than they would like. The so-called underutilisation rate, which incorporates both the unemployment and underemployment rates, was 10.6 per cent in August, up from 10.4 per cent a year earlier. The Bureau said an extra 17,400 Australians found jobs in August, but its estimate has to be taken with a grain of salt. Its background notes say that because it derives its estimates from a survey it can only be reasonably certain the result was somewhere between a loss of 40,600 jobs and a gain of 75,400. On a trend basis the unemployment rate is improving in Queensland (down to 5.5 per cent), steady in NSW, South Australia and the Northern Territory (6.5, 7.2 and 4.1 per cent) and worsening in Victoria, Western Australia, Tasmania and the ACT (7.1, 5.5, 6.6 and 5.1 per cent). Prepare to be shocked. On Thursday the Bureau of Statistics is likely to tell us that the unemployment rate has scaled new heights, climbing from 6.3 per cent to as much as 6.5 per cent. If it happens, unemployment will have hit a 13-year high. It'll be back to where it was before the first of Australia's two mining booms, and higher than it ever was during the global financial crisis. But the jump won't all be real. Here's why. Throughout July and August the government has been phasing in new rules for access to the Newstart unemployment benefit. It's becoming harder to get without actually applying for jobs to prove you are looking for work. In July, with the phase-in not complete, the proportion of Newstart recipients actively looking for work jumped an impressive 9 per cent. An extra 38,000 Newstart recipients phoned or emailed potential employers, but the number of Newstart recipients didn't climb at all, in fact it fell a bit. The bureau calculates its unemployment figures quite differently from the totals compiled by Newstart. It surveys Australia houses door to door and asks whether occupants have been actively looking for work. Because many more Newstart recipients have been actively looking for work, rather than merely receiving the benefit and passively being available for work, the unemployment rate published by the bureau climbed from 6.1 to 6.3 per cent in July. While suddenly fitting the bureau's definition of unemployment, their status as Newstart recipients would have remained unchanged. It's likely to happen again in the August figures due on Thursday. The unemployment rate could well jump from 6.3 per cent to 6.5 per cent without a single extra person signing up for Newstart. It'd be wise to cut the government some slack if the unemployment rate is high on Thursday. It'll be its fault, but it'll be because of its success in moving people toward work rather than pushing them out of it. Also on Thursday new much lower estimates of population growth will cut the bureau's estimate of employment growth. It used to be 335,000 new jobs since the election, 243,590 in the past year. It'll become 295,000 since the election, 212,500 over the past year. Wise hands pay little attention to either the unemployment rate or to employment growth. They look at the employment-to-population ratio. After falling since 2013 and 2014, it's been climbing for seven months. Two years on from the Coalition's 2013 election victory, one of the three experts who "independently verified" its campaign costings has been found guilty of breaching auditing standards. Len Scanlan, a former Queensland auditor general, has been penalised by CPA Australia for failing to uphold professional standards in the work he did for the Coalition. But in an unusual move reported on the CPA website on May 25 the disciplinary tribunal found there were "exceptional circumstances" involving his work for the Coalition's Joe Hockey and ordered his name not be published. Mr Scanlan was one of three members of the shadow treasurer's independent review panel. The other two were Geoff Carmody, a former head of Access Economics, and Peter Shergold, a former head of the prime minister's department. Mr Scanlan is the only one who belonged to a professional accounting association, and so the only one subject to sanction. The panel produced a four-paragraph report released two days before the vote saying it believed the Coalition's costings were "based on fair and reasonable assumptions" and represented "a fair estimate" of their impact on the budget. It enabled Mr Hockey to claim: "all of our policies are fiscally responsible and independently verified". The panel itself did not produce a statement of the level of assurance it was prepared to provide for each item costed, as required by the auditing standard, nor did it disclaim responsibility for Coalition's achievement of the results as required by the standard. The costing endorsed by the panel found the Coalition's program would improve rather than worsen the 2014-15 budget deficit. Professor Walker and Dr Con Walker's complaint to CPA Australia follows another they made to the Institute of Chartered Accountants after the 2010 election which fined two Perth accountants for breaching professional standards in their work for the Coalition. The accountants had allowed Mr Hockey to describe their work as an audit which it was not, and to say that they had certified "in law that our numbers are accurate". A subsequent treasury review found mistakes including double counting amounting to $11 billion. The CPA Australia disciplinary tribunal decided to impose no monetary penalty on Mr Scanlan in May and instead imposed "the penalty of an admonishment". It "exercised its discretion" to direct that his name not be disclosed. Mr Scanlan holds the CPA National President's Award and in 2003 he was awarded a Centenary Medal for distinguished service to the public sector. He told Fairfax Media he did not want to comment on the tribunal's finding. Professor Walker said it was "hard to think of a more blatant ethical breach than the publication of a defective report on government finances just days before a national election". The primary responsibility of accountants was to act in the public interest. The Coalition was forced to use an outside panel to cost its 2013 election promises because of a provision inserted in the Parliamentary Budget Office Act by Labor that prevents the office from costing policies confidentially once an election has been called. It means that Labor will face a similar problem in this election as will any accountant who works for it.